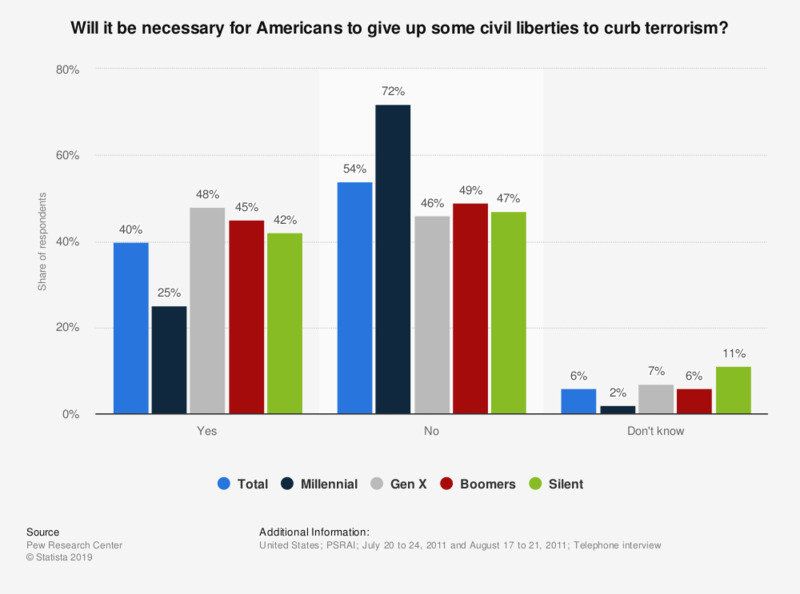 This survey shows the attitude of Americans towards abandonment of civil liberties to curb terrorism in the United States in 2011, shown according to generation. 45 percent of Baby Boomers stated that it is necessary for Americans to give up some civil liberties to curb terrorism. Generation X (31-46 year olds). Baby Boomer (47-65 year olds).